Asset Protection Planning for Business Owners | The Levin Law Firm - Philip Levin, Esq. Owners of closely-held businesses have unique estate planning challenges, as well as excellent opportunities for wealth transfer planning. Of particular concern for most business owners is planning for the transfer of ownership and control of the family business from one generation to the next. At The Levin Law Firm, our business owner clients are offered in-depth expertise needed to integrate their unique business, tax, and estate planning objectives. This allows us to design and implement a business disposition and estate plan designed to meet their goals and objectives. We regularly work with our business owner clients to properly address these challenges by recommending appropriate planning strategies required to transfer ownership and control of a family-owned business to surviving owners and subsequent generations. We also collaborate closely with investment and tax planning professionals already working with our clients in order to develop practical and comprehensive solutions for accomplishing their business objectives, while serving the long-term needs of their families. Many of our estate planning clients have significant portions of their wealth invested in closely-held businesses. When planning for business continuity, we will review the structure of the business, which may be established as a limited liability company, partnership, or corporation. For businesses organized as a S or C corporation, we always review the shareholder agreements and coordinate those agreements with the estate plan. A review of corporate agreements may include recommendations to reorganize or create new business entities. For example, a buy-sell agreement, family limited partnership, limited liability company, or a trust vehicle may also be useful to consider, based upon the particular facts and circumstances of each case. While working with business owner clients for the purpose of assisting them with formulation issues and structuring a plan designed to keep the business in the family, we also seek to minimize the imposition of transfer taxes. More specifically, we consider the impact of income, gift, state inheritance, and federal estate taxes and recommend appropriate planning strategies to ensure estate liquidity needs are achieved. Whatever the business owners’ particular goals may be, we strive to ensure that estate and business transfer plans we design and implement are practical, flexible, and consistent with our clients’ unique family situation and business needs. 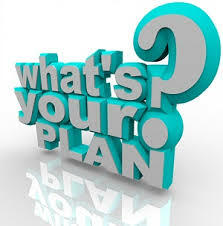 Asset protection planning is a vitally important cornerstone of every estate plan. A properly formulated plan can be designed to manage assets, guide future generations, and avoid the possible squandering a significant legacy. Utilizing effective estate and business planning strategies is the key to providing families with enhanced protection from creditors, ex-spouses, imprudent investors, or spendthrift beneficiaries. To arrange a Complimentary Consultation with estate planning attorney Phil Levin, for the purpose of discussing your estate planning needs, or the needs of your clients, please call The Levin Law Firm at (610) 977-2443.